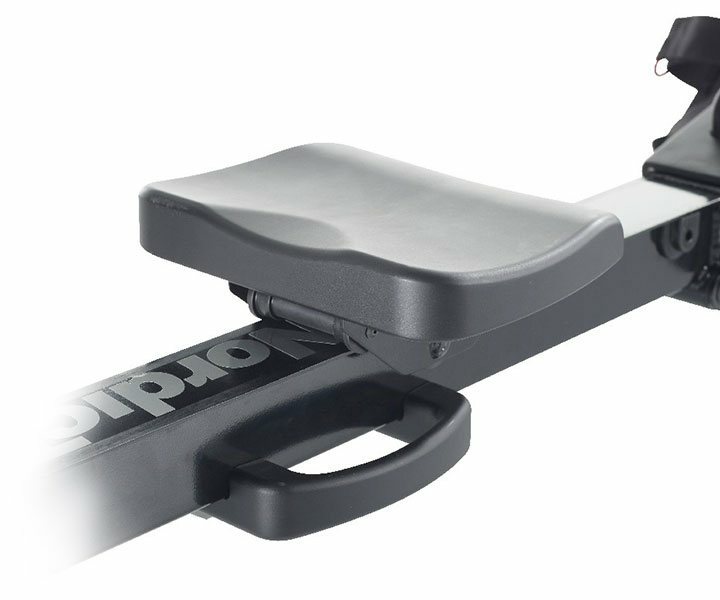 For over 25 years NordicTrack™ has been at the forefront of design and innovation in the fitness industry, Forging A legacy in premium home fitness equipment. 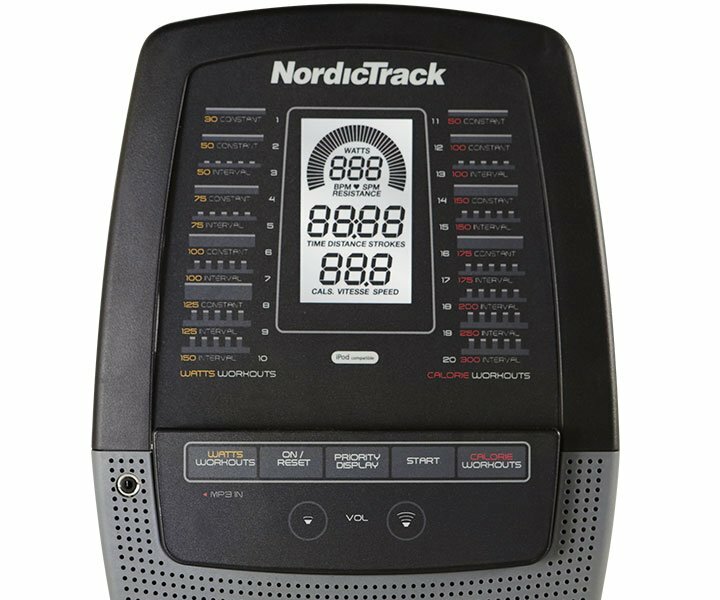 Backlit Display with Watts Meter: An easy-to-read blue-tint screen clearly displays your watts (your energy expenditure as you train), strokes per minute, total strokes, time, calories and distance. 20 Workout Apps: Get the training you want with built-in workouts designed by certified personal trainers. 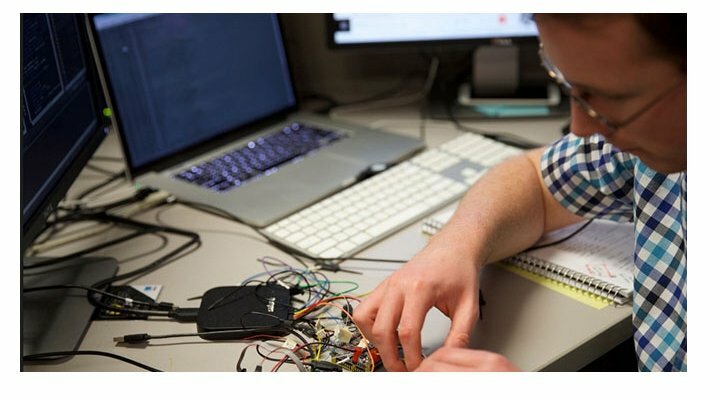 Adjustable Console Angle: The perfect view of the display is available for every user, no matter the height, in your household with the innovative adjustable console angle. 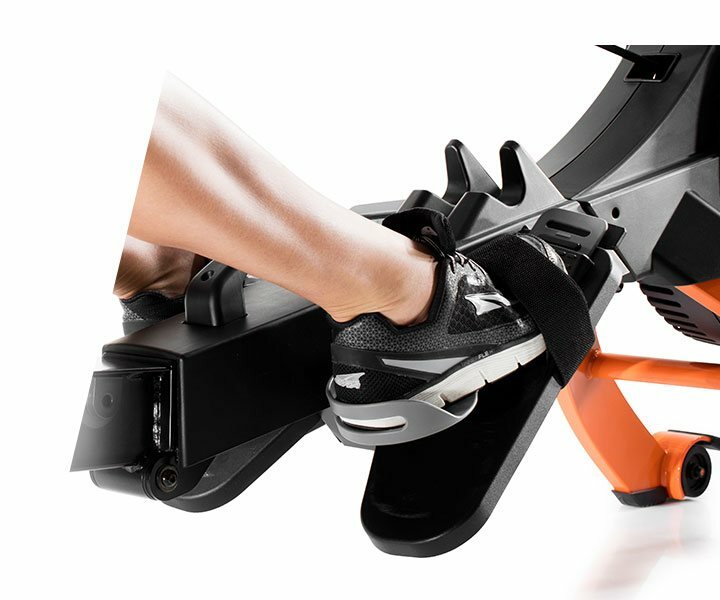 Pivot Oversized Pedals: these pedals pivot to your movement as you workout, fluid and stable. Adjustable nylon straps and textured footbeds add stability while you train. iPod®-Compatible Sound System: Plug your iPod® into the sound system and stay motivated with your workout playlist. Ditch your earbuds for incredible sound from two 2-inch speakers. Folds for Storage: Make the most of your space with convenient SpaceSaver® design. 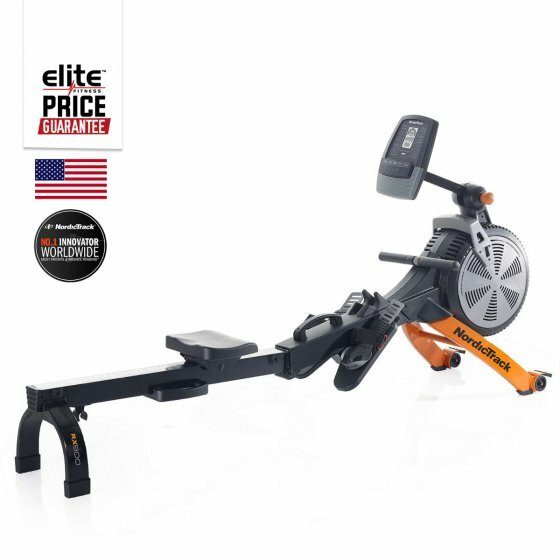 This patented, revolutionary design allows the rower to fold vertically for cleaning and storage.